The Phillies looked to complete a trade with the Mariners in 1994 and they selected from a list of players Fred McNair. "He's a guy that's got a pretty good bat," Phillies general manager Lee Thomas explained to The Philadelphia Inquirer. McNair played part of that year, his fifth season as a pro, with the Mariners at AA Jacksonville. He played two more seasons after that trade. He briefly made AAA twice, but he never made the majors. McNair's career began in 1989, taken by the Mariners in the 10th round of the draft out of Bleckley High School in Georgia. McNair started with the Mariners in the rookie Arizona League. He hit .282 in 36 games and earned club MVP honors. He then moved to short-season Bellingham for 1990. He hit .205 there in 50 contests. Made the league All-Star team and went 14 for 30 in one eight-game stretch. McNair lost all of 1991 to an injured shoulder. 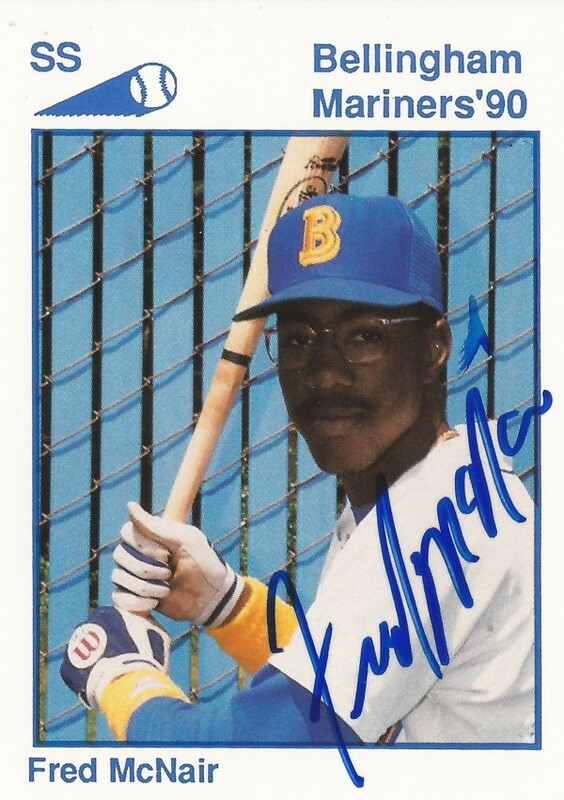 He returned to Bellingham for 1992 and then played 1993 at high-A Riverside. He scored a game-tying run for Riverside in a July game. He hit .270 on the year. He then played 1994 between single-A Appleton and AA Jacksonville. He hit .220 in 57 games at Jacksonville. McNair spent most of 1995 with the Phillies at AA Reading. He saw nine games at AAA Scranton. He doubled and scored in a July game for Reading. He also hit a career high 23 home runs and helped Reading to the league championship. He saw limited time in the championship series due to a shoulder injury, according to The Allentown Morning Call. "Championship seasons are made of stuff you can't explain," McNair told The Morning Call afterward. "All I know it was tough to sit and watch everyone having all that fun and not be able to really join in." McNair then played one final season. He saw 14 games with the Phillies at Scranton and played another 69 with the Yankees at AA Norwich to end his career.